Besides our concert season (January through March) our chapter holds several Society Meetings. They are in October, November, December, and April of each year. We begin at 2:00 PM with light refreshments and socializing. 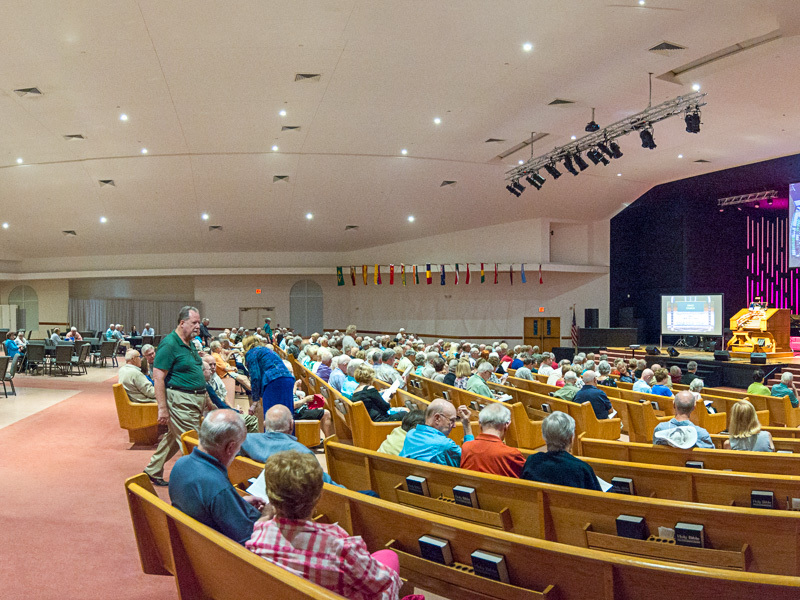 Afterwards, we assemble in the auditorium for a short business-meeting. 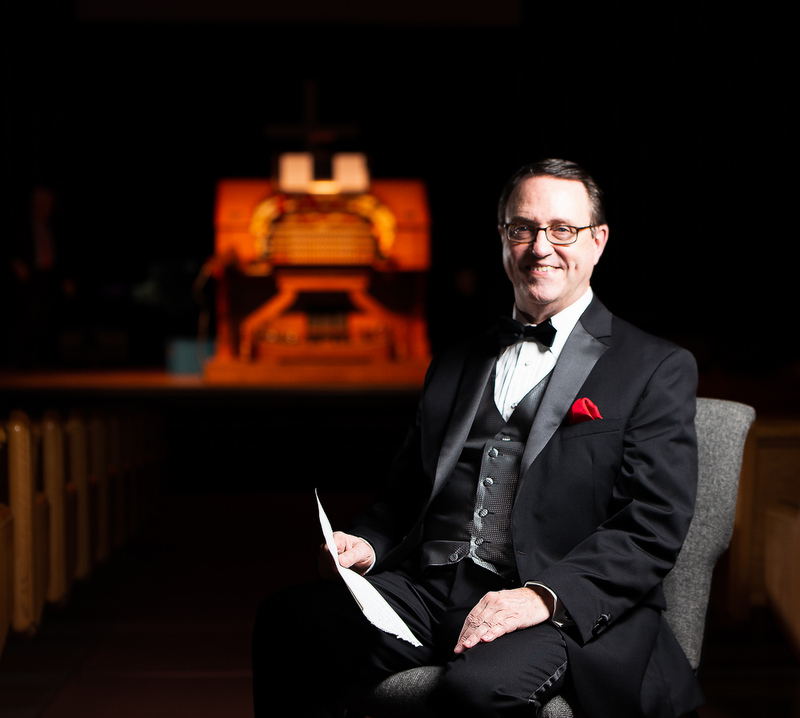 During this time we discuss theatre pipe organs, performers, and technical aspects. After our meeting we enjoy a free performance by a well-known artist from here in the USA. These virtuoso performers also appear in such venues as churches, and sporting arenas. 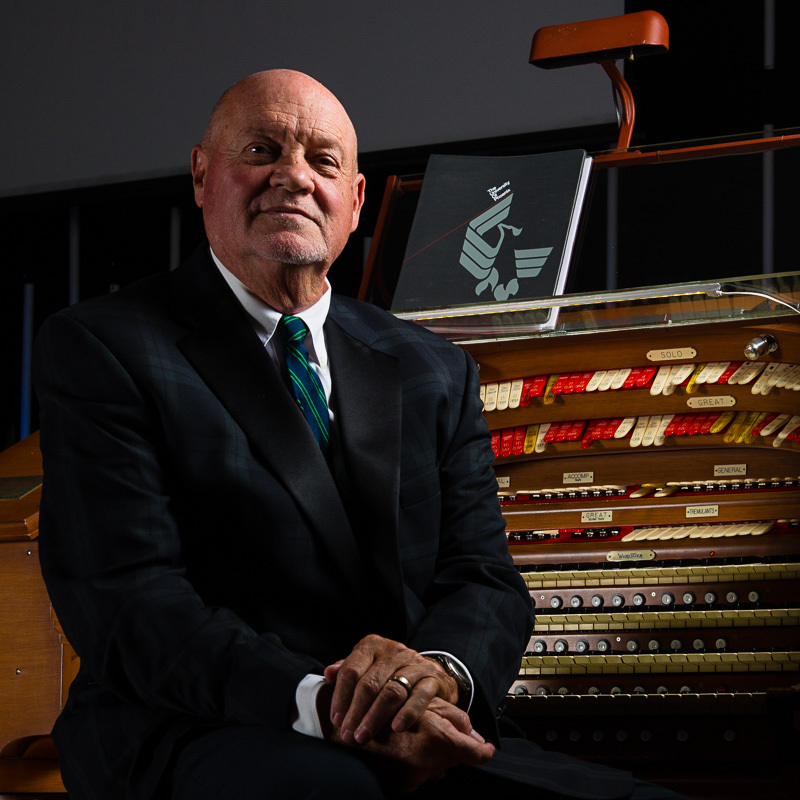 What’s a hockey game without an organist? 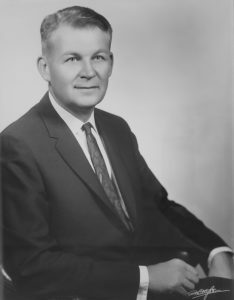 McCall was honored with a first prize in the ATOS Hobbyist Division in 2002 which led to a professional career as a theatre organist. He was awarded the Lifetime Achievement Award by the Atlanta Chapter ATOS following his solo concert at the Rylander Theatre, October 16, 2010. 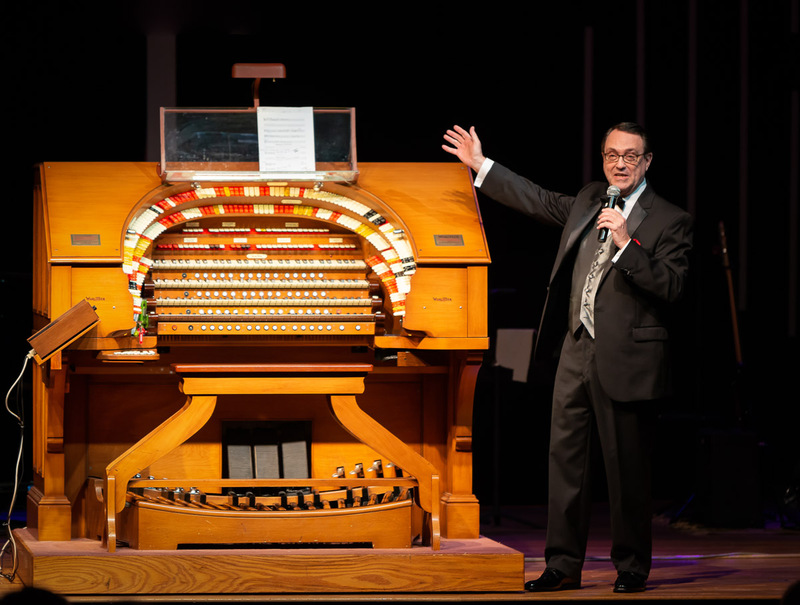 His most recent CD recordings are “Calling Mr. Miller” and “Florida Fanfare” recorded at the Forker Memorial Wurlitzer, Sarasota Florida. 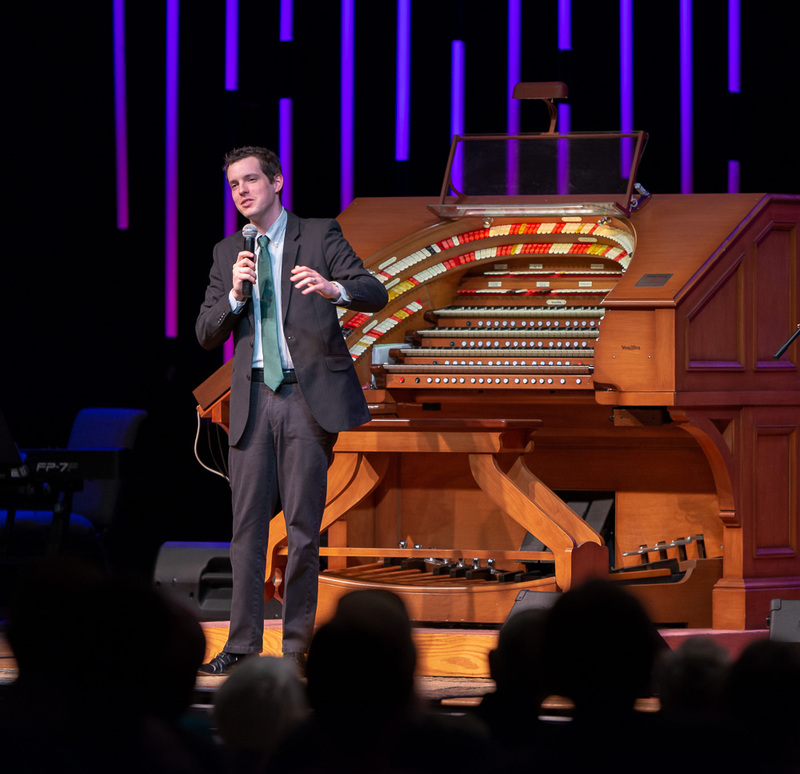 That gorgeous instrument up there on stage in the Grace Auditorium (and in the pipe-chambers) is a million dollar mechanical and technical wonder in its own right, but it takes a masterful organist to make it sing. Check out images of artists from previous performances, and also learn some biographical info about each. 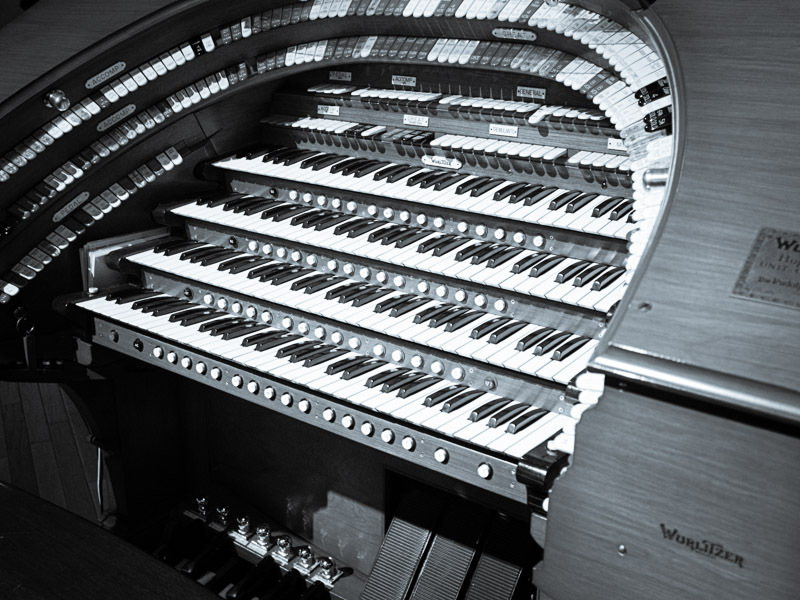 Theatre pipe organs are immensely complex. They each require constant maintenance of their components, and vigilance about their ‘voice’. This one has more bells and whistles (we really have bells and whistles!) than you can shake a stick at. Get an inside-look at how it all works and listen to some sample music. This modern church was built with the intention of housing a fine pipe organ. 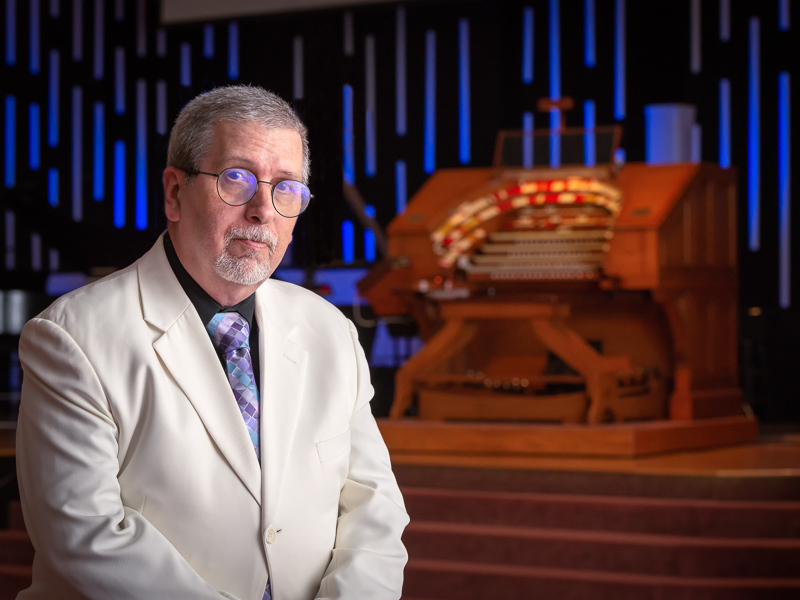 So it seems fitting that Grace Church would agree to host our Wurlitzer. We have had a long relationship with this congregation. Have a look around their auditorium. 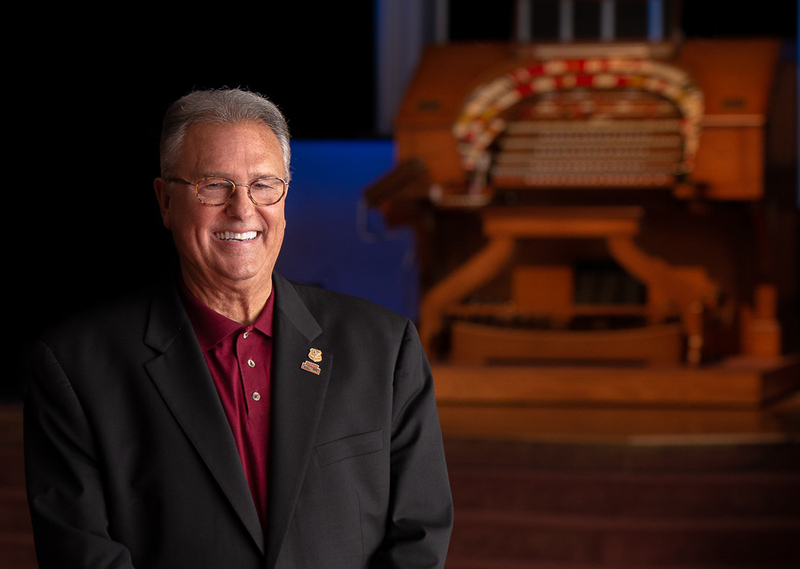 A great way to support the theatre-organ art-form is through membership in the American Theatre Organ Society. Click the ATOS logo for more info, or visit www.atos.org. You can also choose to support your local ATOS chapter by joining MTOS. 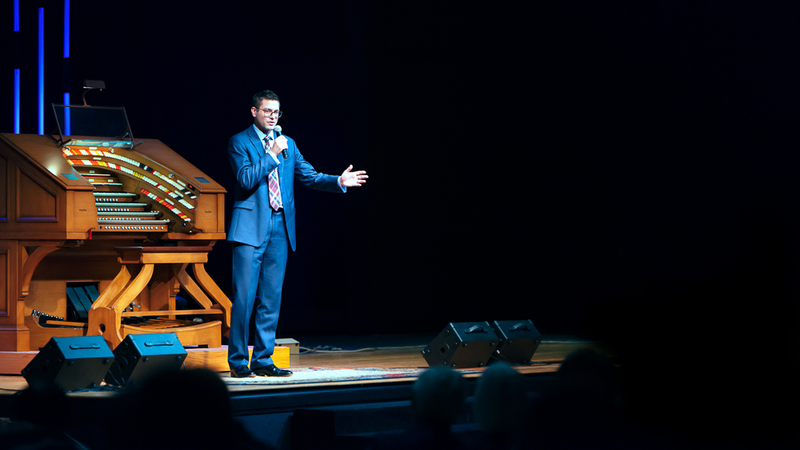 A one-year membership is $25 and specifically goes toward our 4-manual, 32-rank Tyson J. Forker Memorial Wurlitzer theatre pipe-organ. 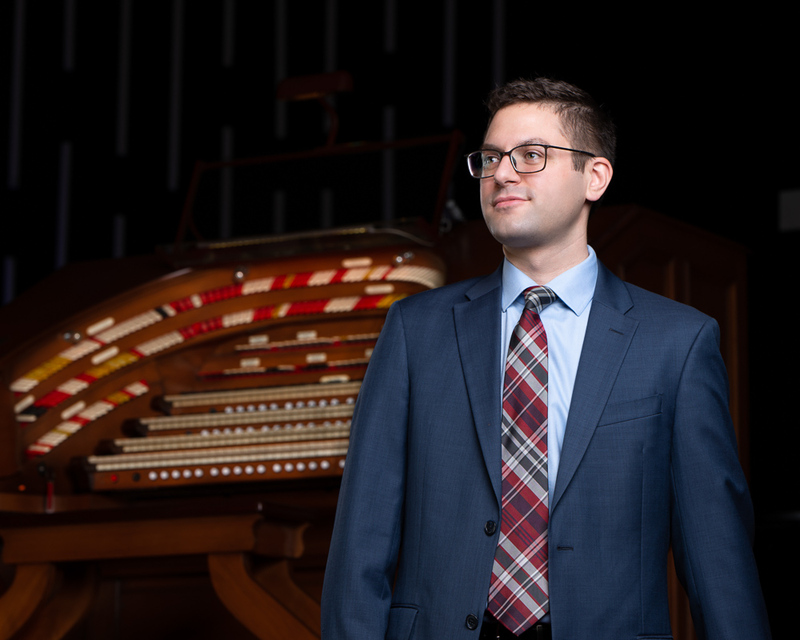 Join us on the third Sunday of each month at 2:00 PM from October through April to hear theatre pipe organ music at its best. 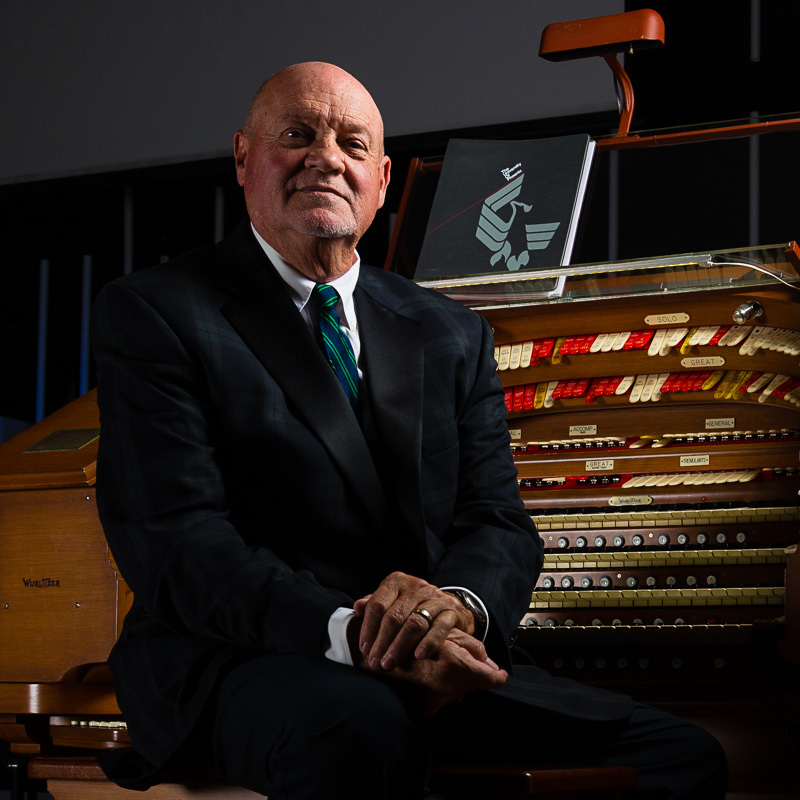 January, February, and March feature paid-concertizing by international organists.